We are a small and humble company dedicated to making sure our clients get everything they need. We have been running for several years and during that time, we have learned loads and loads about refurbishments and what they entail.In addition, we’ve learned a lot about clients and their needs, which we believe is part of every successful business.So if you would like our professional help by offering you refurbishment services in London, call Handyman Handy and you are guaranteed to be very happy because we always leave our customers more than satisfied and never disappointed. Our aim is to provide our clients with the best quality and most affordable refurbishment in London. If we can do that, then we have achieved what we set out to achieve. We want our clients to get everything they need. Whether it’s domestic refurbishment, office refurbishment or whatever else, we can help you. And we are confident you will love our team of experts. You can trust in us to receive top quality services at all times, whenever you need them. 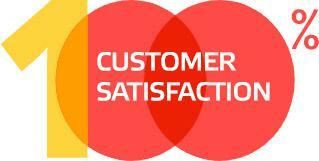 As long as our customers are satisfied, then we too are satisfied. We have an excellent home improvement team and each member of the team is hard working, skilled, experienced and friendly too. Nobody wants to work with an ignorant team. So we believe it is important that our team is friendly and polite and easy to work with. We cover the whole area of London. We promise, completely, that you will receive the best quality refurbishment at your home or office. And it will be at the most affordable prices. You are guaranteed to be pleased with our services in London and you can expect to receive services at the most affordable prices ever. You won’t believe what bargains you get here with us at our company, so don’t hesitate to get in touch with us now.